It is easy to believe nothing much ever happens in Puglia. From silvery olive groves unfolding like a carpet to towering coastal cliffs and quiet country roads leading to whitewashed hill towns, a sleepy, Sunday afternoon vibe tends to reign here most days of the week. Don't let the tranquillity fool you. For millennia, armies have ranged across this landscape. Normans and Saracens, Greeks, Spanish and Turks have all left their mark. As a result, Puglia is one of Italy's most fascinating regions. Where else can you find ancient Norman relics, Roman roads, Swabian castles and Spanish churches? 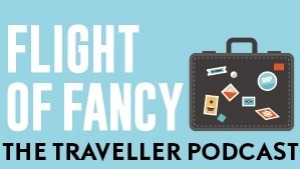 Throw in coastal walks, limestone caves and superb food and wine, and it's no wonder that Puglia is Italy's next big thing. The trickiest part is narrowing down which attractions should be top of your list, so we have done the hard work for you. 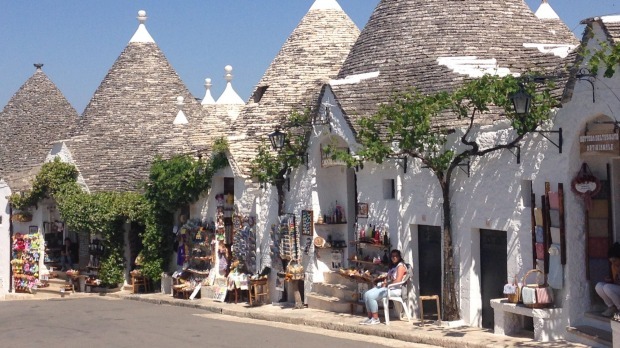 Alberobello​ may be the most-photographed village in Italy, thanks to its collection of cute-as-a-button trulli​ houses. No one can agree on the origin of the trulli, the whitewashed conical houses tipped with distinctive pointy roofs, but for centuries they have been one of the area's signature sights. 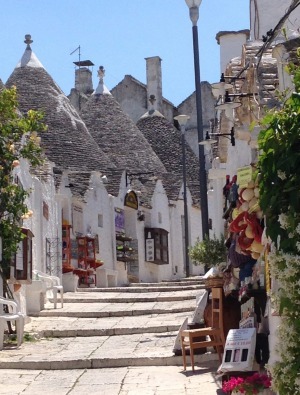 Thousands of them cascade down the slopes of Alberobello. Follow the crowds up the slope, past trulli shops and trulli restaurants to the Chiesa di Sant'Antonio; yes, a trullo church. One tip that many visitors miss: the opposite slope not only offers the best vantage point for photography, it is also home to another trulli neighbourhood, this one still largely residential. If you can, visit in the off-season, or come later in the afternoon: in the evening, the crowds thin and you have the streets to yourself. There are two remarkable sights inside the Norman cathedral that crowns Italy's easternmost town. The first lies beneath your feet. The cathedral's entire floor is covered with extraordinary 11th century mosaic of the Tree of Life that draws inspiration not just from biblical stories such as Adam and Eve, but also historical heroes such as Alexander the Great and mythological figures such as Hercules and the goddess Diana. The odd sea serpent is also thrown in for dramatic effect. The other remarkable sight can be found up near the altar. The chapel to the right is dedicated to the 80 Blessed Martyrs of Otranto, who perished in a brutal Turkish attack in 1480 in which all men over 15 were killed, the women and children sold into slavery. Eight hundred survivors barricaded themselves into the cathedral to pray for rescue, which never arrived. Beheaded by the Turks, their skulls and bones are displayed here, a distinctly ghoulish decorative approach. At its best, Puglia's coastline is stunning: craggy coves shaded by tranquil forests or flower-filled grasslands, crystal-clear water shifting shades between emerald and teal, turquoise and aquamarine. At its worst, it is all traffic jams and tour buses, sunbathers lying wedged together like sardines on the sand. Skip the tourist trap towns such as Gallipoli, and try the more tranquil Polignano a Mare, where elderly locals gossip in sun-filled corners or go about their chores on old Roman roads. Savour a coffee on one of the terraces overlooking the sea, take a boat tour of the caves hidden beneath the cliff, or work your way through Polignano's acclaimed gelato bars. If you are looking for a more natural seaside experience, Porto Selvaggio fits the bill. Tucked away behind an endless acreage of olive groves, the bay is protected by high pine covered slopes and a 16th-century defensive tower. Although the beach is pebbly, the bay is sheltered from the wind and slopes gently into the water. Stretch your legs with a walk along one of the coastal paths scented by wild-growing rosemary. This elegant, octagonal hilltop castle is Puglia's greatest mystery. Although it has stood here for 800 years, no one quite knows why it was built. It might have made a lovely pleasure palace, except it has no kitchens. It looks formidable enough to serve as a strategic stronghold, except it lacks a few little essentials, such as a moat and a drawbridge, slits for archers, and trapdoors for pouring down boiling oil. The intrigue is heightened by the fact that its builder was the charismatic Frederick II, one of the most fascinating figures of the Middle Ages. Anointed both Holy Roman Emperor and King of Sicily, Frederick spoke six languages, was a patron of the arts and sciences, corresponded with Arab sultans and travelled with his own private zoo. Some of the wilder theories about why he built Castel del Monte are straight from a Dan Brown novel. Ask an Italian what makes Puglia so special, and their answer is likely to be, "the food". The local cocina povera, or peasant kitchen, is regarded as one of the country's most authentic cuisines, drawing heavily on the region's endless olive groves and its long coastline. Start by sampling the local pasta specialities, orecchiette (little ears) and sagne 'ncannulate, twisted strips of dough. Even more addictive are pittule, deep-fried dough balls often stuffed with cheese. Perhaps the area's most famous export is burrata; try it in Andria, the town where it was invented, close to Castel del Monte. Also nearby is Il Pino Grande, a rustic masseria where talented chef Giovanni Burdi offers clever twists on traditional dishes. Perhaps Puglia's most striking city, Ostuni has whitewashed buildings cascading across three adjoining hills, and chic boutique hotels hidden down narrow winding streets. Our pick is La Sommita, an intimate lodging set into a 16th century palace. It is not just the views out to the ocean we love, but also the hotel's acclaimed restaurant. Depending on the weather, guests dine either on the sun-drenched terrace or beneath a vaulted stone ceiling. After lunch, get lost in the labyrinthine streets and try to convince yourself you are not actually in Greece. Stop in at one of the sophisticated bars for a refreshing beverage before slowly wending your way back home. Ninety million years in the making, these caves are among Europe's best underground attractions. The guided tour takes you more than 60 metres below ground, through a series of caves decorated with stalactites, stalagmites, columns, canyons and fossils. The piece de resistance is the Grotta Bianca, a dazzling white cavern hung with needle-sharp stalactites. For those who like something a bit different, Speleonight tours take place in the evenings after the caves have closed for the day. Remember we mentioned all those invading armies? One of their legacies is the distinctive Puglian masseria (plural: masserie), fortified farmhouses that are designed to be self-sustaining. Typically, masserie grow their own vegetables, press olive oil from their own olive groves and often make their own wine. Many of them have now been converted into tranquil rural accommodations. Choose from rustic options to luxe versions such as Masseria Torre Coccaro, which has baroque furniture and a spa that uses Aveda products. There's nothing restrained about Lecce. During the city's baroque building boom, inspired by the soft, easy to carve local sandstone, the master builders and stone carvers went for broke, gifting the city an unrivalled set of baroque churches and palaces. The facades of buildings such as the Basilica di Santa Croce and the Basilica di San Giovanni Battista are festooned with dragons and turbaned Turks, horses and flowers, angels wielding crosses and shells and flowers and lions, a dizzying collection of carvings that leaves visitors with cricked necks. Lecce has more to offer than old-school grandeur, however. This university town has plenty of cool wine bars, cafes and restaurants tucked into its narrow streets. Grab a bite to eat at DoppioZero, or go for drinks at the Coffee and Cigarettes, one of the many bars on Via Guglielmo Paladini. The village of Alberobello with its many trulli with their conical roofs. If we learnt that the good citizens of Locorotondo pull a tarpaulin over their town every night and head off to their real homes, we wouldn't be at all surprised. This small hillside town with its white-washed houses and colourful flowerboxes is so picture-perfect, it is hard to believe it is for real. Take a wander through the tidy streets before settling in for a lunch of the local specialty, u tridde, pasta made with pecorino cheese and parsley, washed down with a glass or two of the refreshing local wine. - Puglia has about 60 million olive trees, and produces almost half the country's olive oil. - The ancient Greeks were among the first to settle Puglia and in some parts locals still speak Griko, a dialect closer to Greek than Italian. - Puglia is the fourth biggest wine producing region by volume in Italy. Typical varietals include negroamaro and primitive. - The famous folk dance, the tarantella, originates in the Puglian town of Taranto. 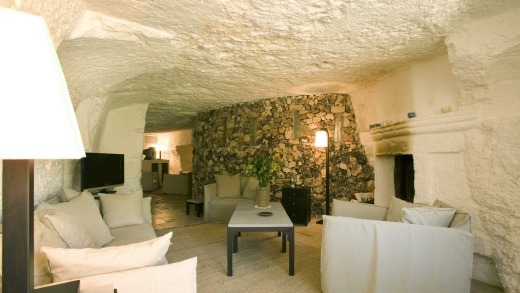 - Puglia is also rich in prehistoric ruins including menhirs, astrologically oriented standing stones, and dolmens. In Ostuni, La Sommita is a stylish bolthole with a superb restaurant. Rates from €140. See lasommita.it. 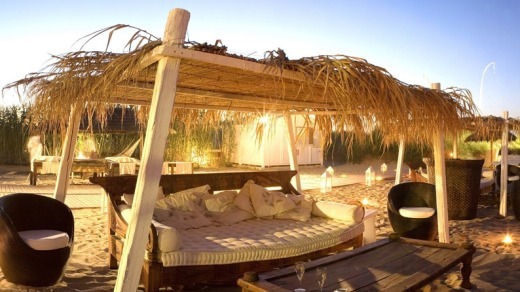 For a rural retreat, Masseria Torre Coccaro is surrounded by ancient olive groves, and has its own nearby beach club. Rates from €284. See masseriatorremaizza.com. Ute Junker travelled courtesy of the Italian State Tourist Board in collaboration with Puglia Promozione and Rail Europe.